The Bajaj Pulsar 150 has received yet another cosmetic update, this time in the form of neon yellow, neon red or neon silver accents. The accents are seen on the bike's badging, the little faux mesh on the side cowl, grab rail, seat stitching and as a small insert above the headlamp unit. The 150 sticker on the rear seat cowl is a 3D logo now, apart from the alloy wheels getting neon highlights as well. 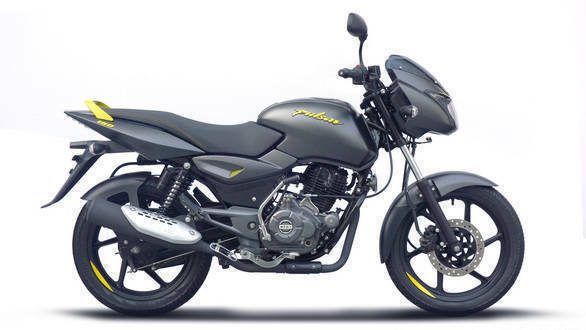 The Pulsar 150 is also available with the option of a matte grey colour, for the first time, but only with the neon yellow accents. The bike has been priced at Rs 64,998 ex-showroom Delhi, while prices in other cities vary slightly. There are no other changes to the bike's design or colour scheme apart from the accents though. There are no mechanical updates either, and the Pulsar 150 Neon is powered by the same, 149cc, air-cooled single cylinder engine that employs Bajaj's patented DTS-i technology and uses two spark plugs to offer 14PS and 13.4Nm. The Pulsar 150 has been around for as many as 17 years now and continues to enjoy popularity as an entry-level performance motorcycle even today.